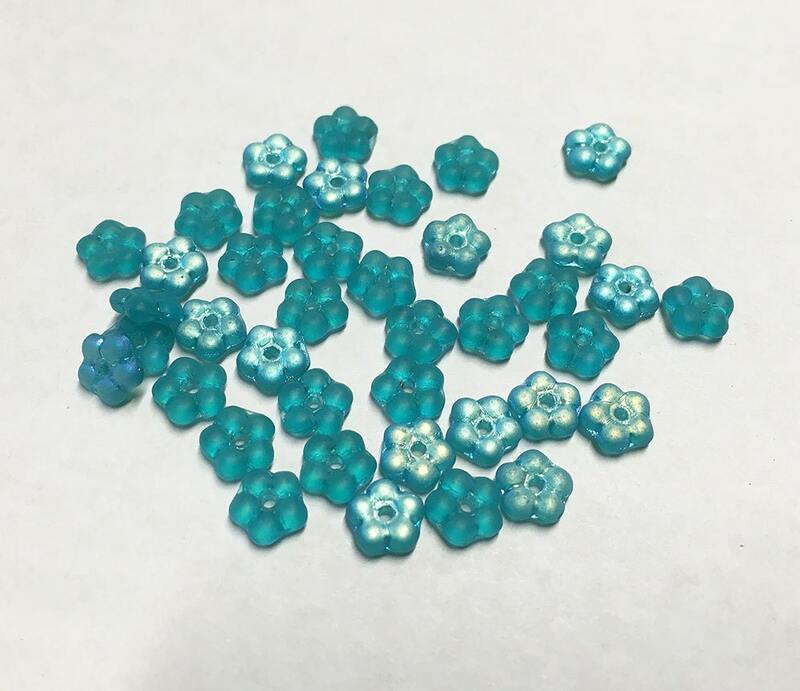 The most adorable 5mm Czech glass daisy spacer flower beads - they are little buttercups! Great for using in between other beads. I just love these little flowers. You'll get 50 pretty teal AB flowers. Many uses for these lovely flowers! Very nice. Received fast and in great condition. Thanks!